It was really an exhilarating experience visiting chaar dhaam in namchi. Touristers are welcome to such a lovely tourney….enjoy the natural scenic beauty & grandeur to your fullest. 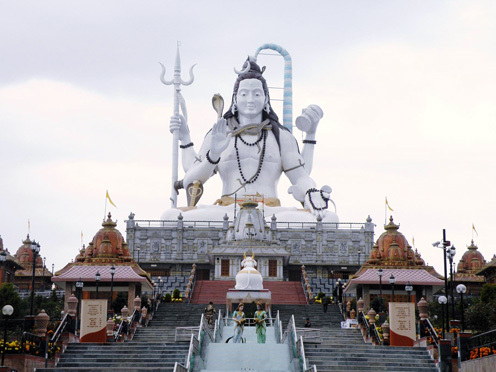 ALL SHIVJI LOVERS SHOULD VISIT THIS CHARDHAAM, I VISITED IN JAN 2011 IT WAS UNDER CONSTRUCTION THEN BUT STILL THE FEEL WAS OUT OF THE WORLD, MUST VISIT PLACE FOR SURE, ITS BEAUTIFULLL AND SERENE. Yeah, I agree with Dashy and Kavita Sharma. Its really really beautiful place. Anybody planing to visit Chardhaam should reach the Dhaam as early as possible. It becomes too crowded if you do late.